Please accept the within as a respite from the drama of your daily life. It is one of my many favorite poems. Indulge yourself with another respite from your daily drama with — SANCHIN! 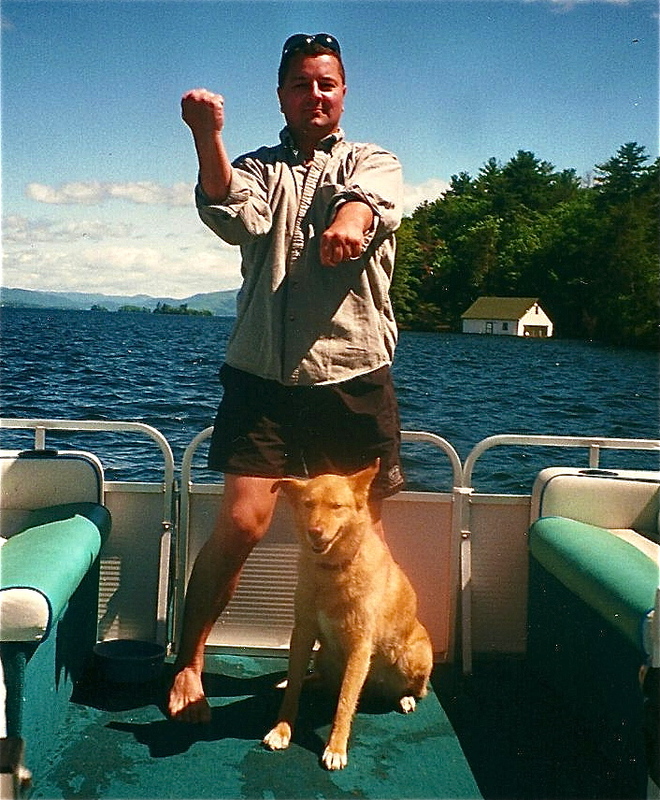 Here is one of my indulgences from 1995 while boating on Lake Champlain, NY with Miko, R.I.P. 1. The death poem of the Daimyo-poet, Takahama Kyoshi.